CMN (Constructions Mecaniques de Normandie) has focused on designing a versatile patrol boat, efficient and easy to use, operated by a crew of 24 sailors. 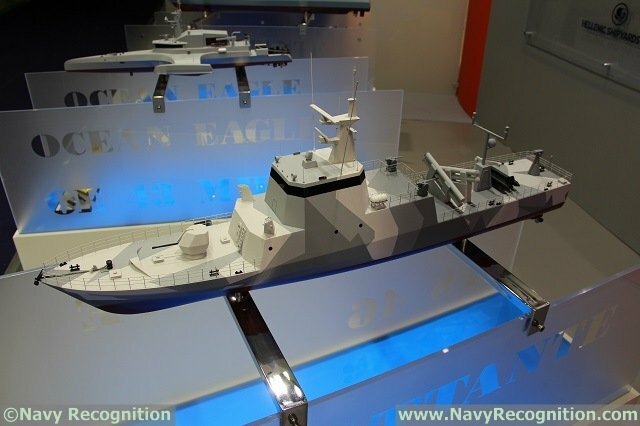 The Combattante FS46, evolution of sea proven CMN Combattante II class, is a Fast Attack Craft, able to perform with a high level of efficiency the tasks required by a Patrol Missile Boat mission's profiles. 46 meters long, the Combattante FS 46 inherits the exterior lines of the 'sea proven' hulls of Combattante II based on a steel hull and an aluminum superstructure. The Combattante FS 46 is a compact and multifunction patrol boat that can conduct as much hit-and-run operations on naval and ground targets as surveillance actions and Exclusive Economic Zone protection zones. It can also ensure the state's action at sea. The FS 46 is fitted to meet the needs of Navies that wish to maintain their capacity to respond by combining speed, firepower and ease of use while maximizing their acquisition cost. Combattante FS 46 is equipped with three fixed pitch propellers drived by three high speed diesel engines that allow Combattante FS 46 to reach a maximum speed of 35 knt. The FS 46 can cross 2,000 nm at 15 knt with a complete combat system. - four MM40 Exocet anti-ship missiles. The Combattante FS 46 also has two SYLENA-type decoy launchers in front of 360° panoramic bridge. Modularity has been particularly studied so Combattante FS 46 can receive a short range air defence missile system SIMBAD RC-type instead of the 40 mm cannon on the back of the ship. In terms of combat system, the modularity of the Combattante FS 46 allows to integrate a TACTICOS-type CMS or to be equipped with a LYNCEA-type management system mission. To this is added one Mission Management System with Data Link. 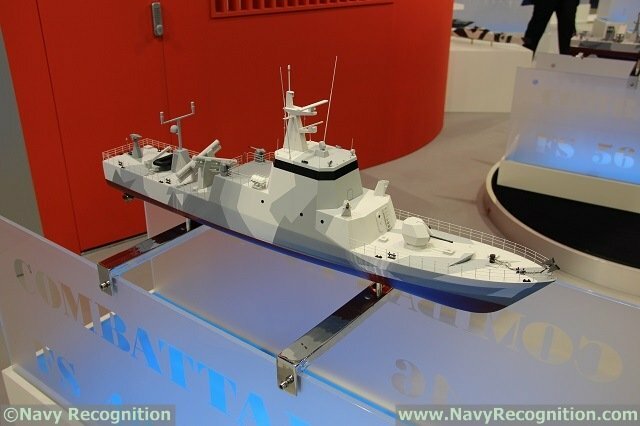 The Combattante FS 46 is the ideal fast and compact patrol craft fitted to the needs of navies willing to get equipped with a surveillance capacity and a significant fire power for a reduced acquisition and operating cost.